Here is the story behind the making of a #1 single and album. To begin with, both Neil Diamond and Barbra Streisand had already recorded solo versions of the song on separate albums for Columbia Records. Then the program director for WAKY Radio, Louisville, Kentucky — Gary Guthrie — enters the story. He edited together Barbra and Neil's versions. There's some misinformation about how Barb and Neil came about. For example, most accounts have me listed as a “deejay,” even though I was rarely on the air. The short story is this: Becky, my wife, and I were going through a very amiable divorce. The previous Fall, we had heard Neil's version at a friend's house and I noticed how it made her cry. Fast forward to Spring 1978 and Barbra's new album (another of Becky's favorites) came out and, dayumm, there it was again. There was just something that clicked in my head and I decided to do it for her. Since we weren't really sleeping in the same bed at that time, my nights were open and I'd hang out at the station and play with the mix, then take it in to whoever (was on the air and) have them play it while I went out to my car and listened to how it sounded. There was a lot of back and forth with that late at night before I ever unleashed it on the daytime public. Once I did, however, all hell broke loose. Requests, record store calls, you name it. I had two friends who had an in at Columbia — one who had been their Nashville VP and one who was their local guy in Miami — and I asked both to help me get this up the ladder. They did their job well. Word spread quickly, and my 15 minutes of fame was in full force. People magazine, the LA Times, Good Morning America, Merv Griffin, Casey Kasem, even the Aussie version of Johnny Carson came calling for the story. When Guthrie's edit arrived at Columbia Records Bruce Lundvall's desk, he loved the duet and wanted a legitimate, official record made by Streisand and Diamond. Streisand and Diamond recorded the song quickly at Cherokee Studios, Los Angeles on October 17, 1978. The single was mixed, pressed, and shipped to radio stations immediately. “You Don't Bring Me Flowers” debuted at No. 48 and went all the way to No. 1 on the Billboard pop charts by November 1978. Columbia Records capitalized on the success of the song by releasing two new albums by the artists, too. Neil Diamond was already at work on an album, so the single was added and the album was released — appropriately titled Neil Diamond: You Don't Bring Me Flowers. 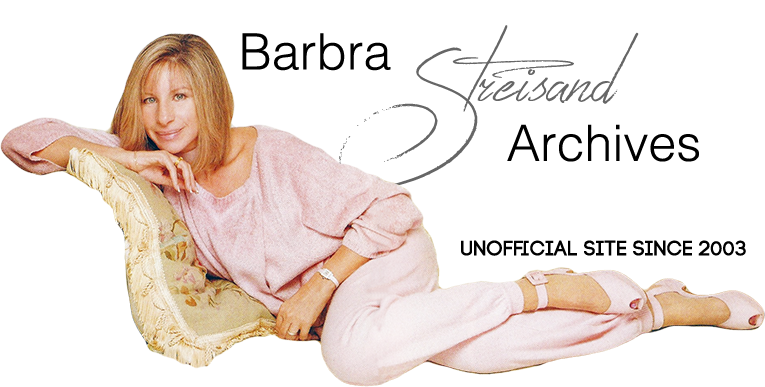 Columbia compiled Streisand's Greatest Hits Volume 2 with the hit duet .... plus her rock song, “Prisoner,” for the film The Eyes of Laura Mars. “Prisoner” first appeared as a single and also as part of the now out-of-print soundtrack album to The Eyes of Laura Mars. Platinum: 1 million units shipped. Below: For the week ending January 20, 1979, Streisand's Hits album at #1. Scan by Peter Curl. Barbra: The Second Decade by Karen Swenson. Citadel Press, 1986. "The Coast" by Samuel Graham and Sam Sutherland. Record World, August 19, 1978.